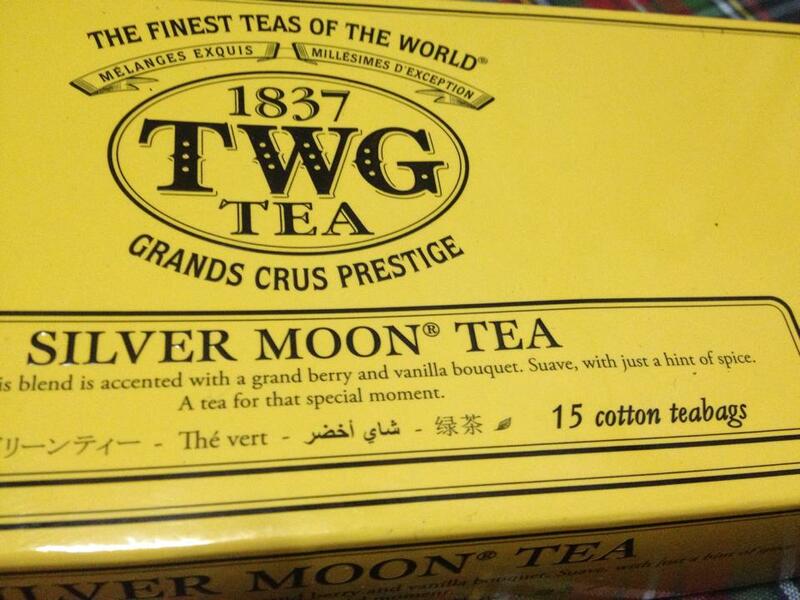 I have a lot of tea stash at home. My mom sent a lot of varieties of teas ever since she discovered that I love teas from posting of pictures of milk teas on my Instagram account. 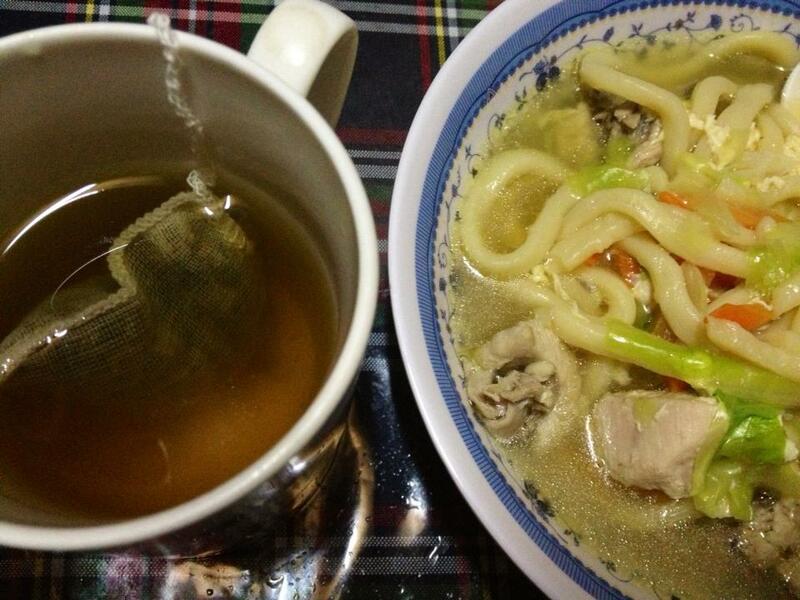 Though she knew that I love Teh Tarik first from Malaysia. I was hoping to review some of the teas but I have my favorites so I don't have time to try all of them. 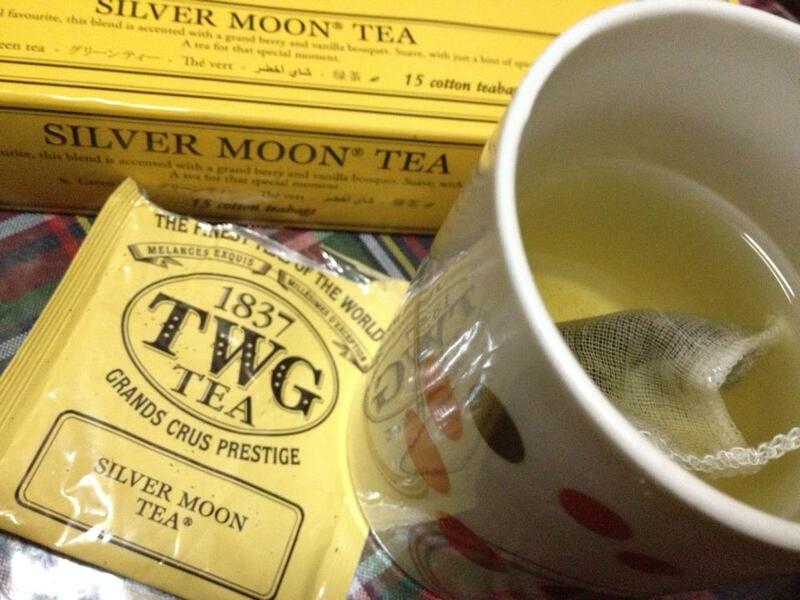 I am currently finishing the Lipton Teas but I also try Peppermint Tea and TWG Silver Moon Tea. 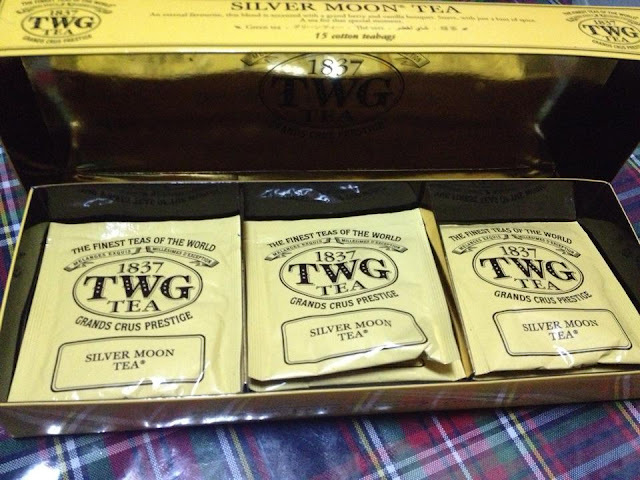 TWG Tea, the finest luxury tea brand in the world, was established in Singapore and celebrates the year 1837 when the island became a trading post for teas, spices and fine epicurean products. TWG Tea, which stands for The Wellbeing Group, was co-founded by Taha Bouqdib, Maranda Barnes and Rith Aum-Stievenard in 2008 as a luxury concept that incorporates unique and original retail outlets, exquisite tea rooms and an international distribution network to professionals. A veritable tea institution, TWG Tea is passionate about sharing its expertise and has become a point of reference for tea lovers thirsty for knowledge. 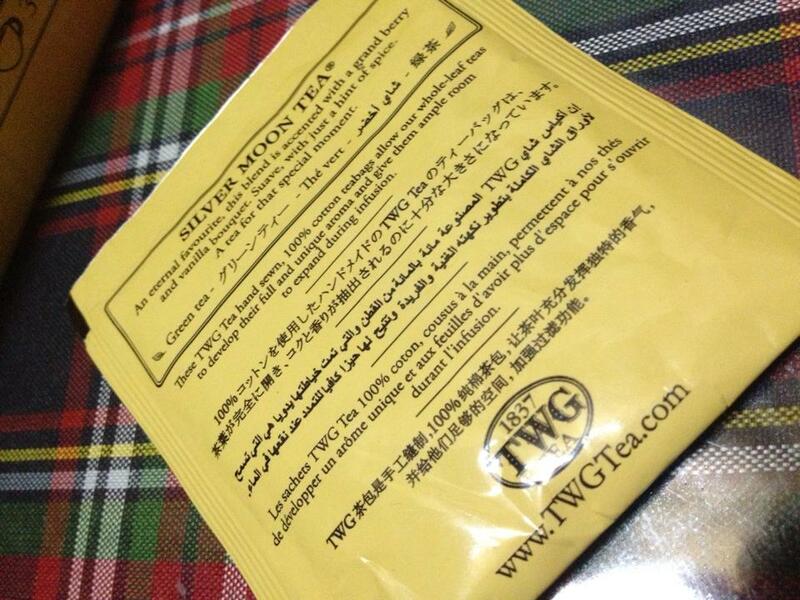 There are different kinds of TWG Teas. They have Loose Teas, Packaged Teas, Iced Teabags, Haute Couture Tea Collection, Other Teas and the one that I have which is TeaBags. The TWG Tea that mom sent is Silver Moon Tea. 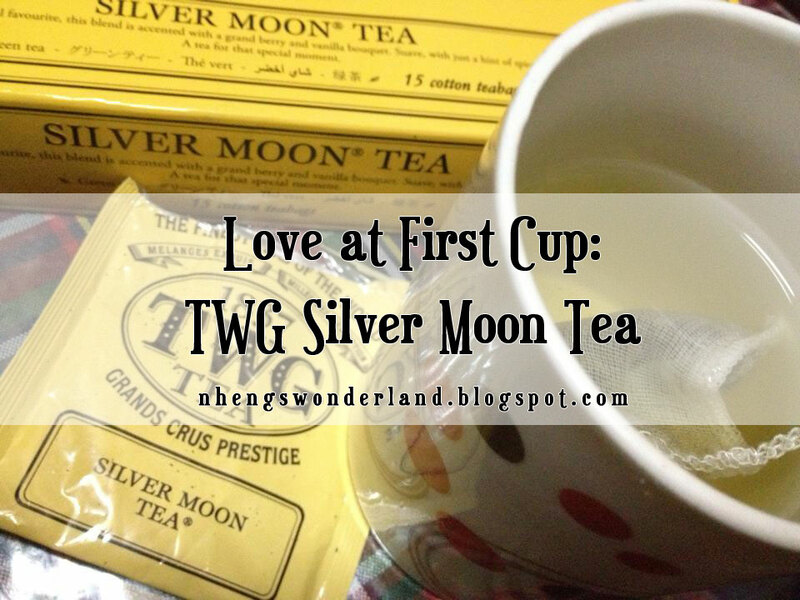 Silver Moon Tea is a TWG blend of green teas accented with a grand berry and vanilla bouquet. Suave with just a hint of spice. 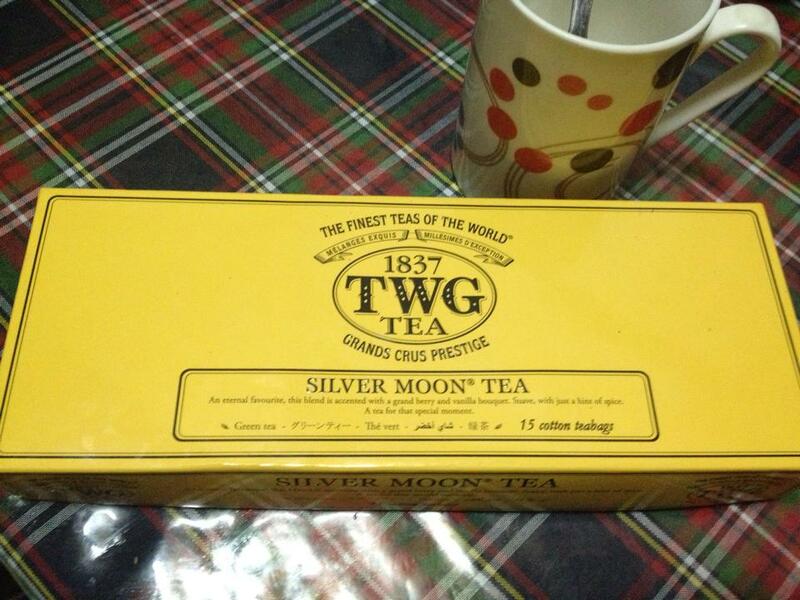 One box contain 15 pieces teabags. 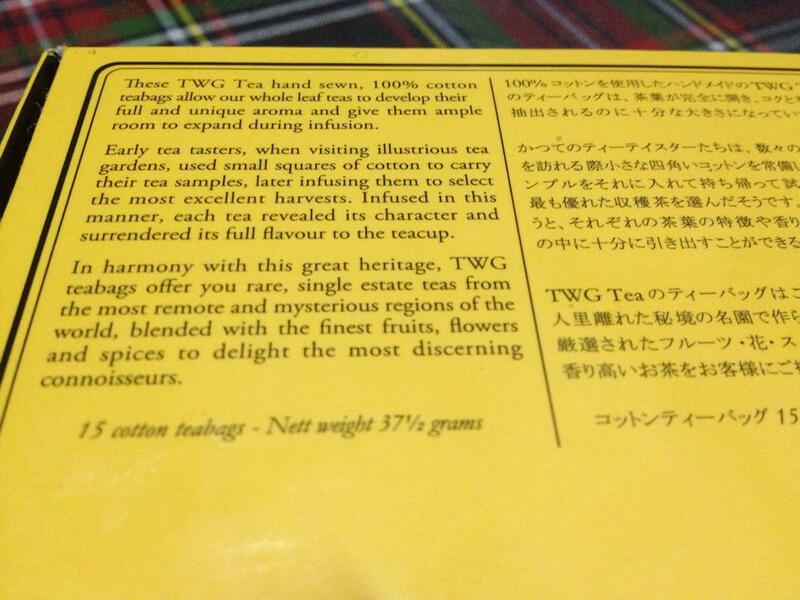 The TWG Teabags are unique hand sewn and made of cotton cloths. 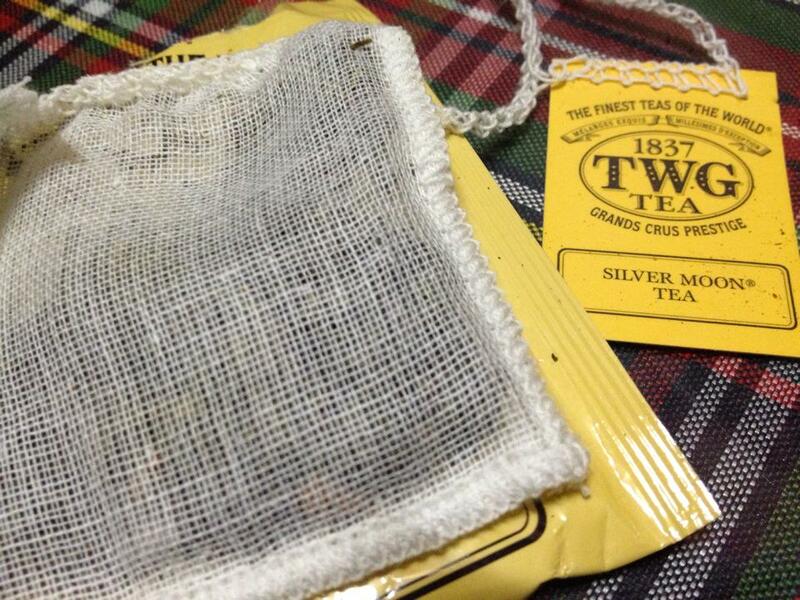 It helps the whole leaf teas to develop their full and unique aroma and give them ample room to expand during infusion. And the aroma is so sweet but not the taste. I really loved how it smells! 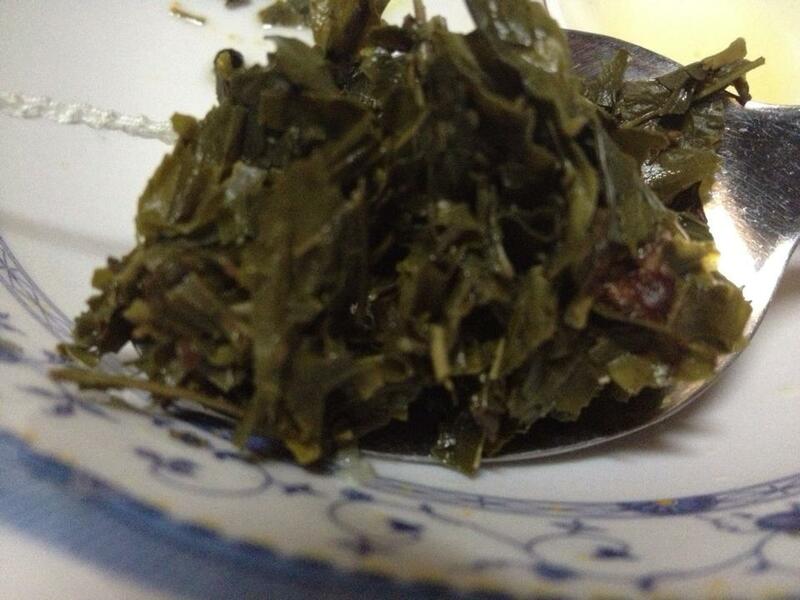 This is what the herbs actually looks like. I can smell it all day!